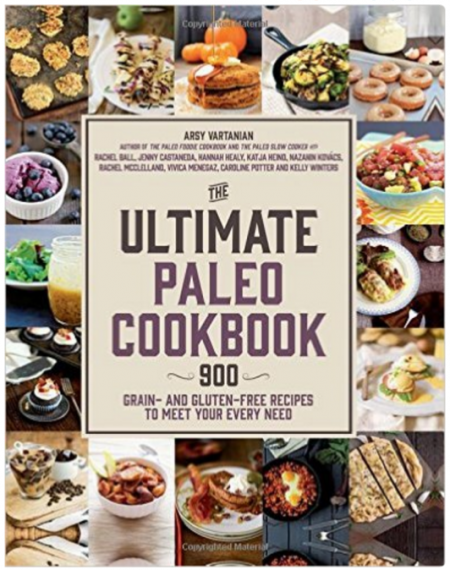 Going to a picnic or a potluck this summer? Need a healthy, nutritious meal to take with you? 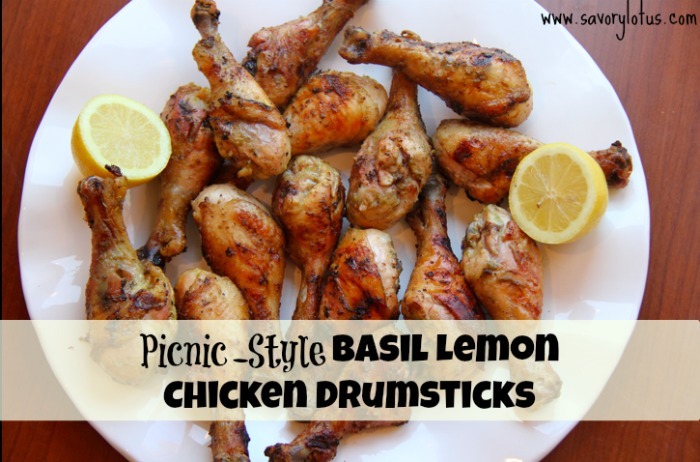 My family loves these Lemon Basil Chicken Drumsticks. They pack away nicely to take to the beach, to the park, or any fun outdoor event you may be going to. 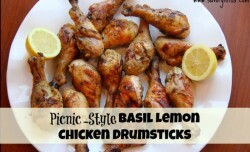 The secret to these delicious drumsticks is a long marinade. Make the marinade the day before and allow the chicken pieces to soak up all the goodness for as long as possible in the fridge. No need to heat up the house on a hot summer day. Fire up the backyard barbeque, and you are all set to go. 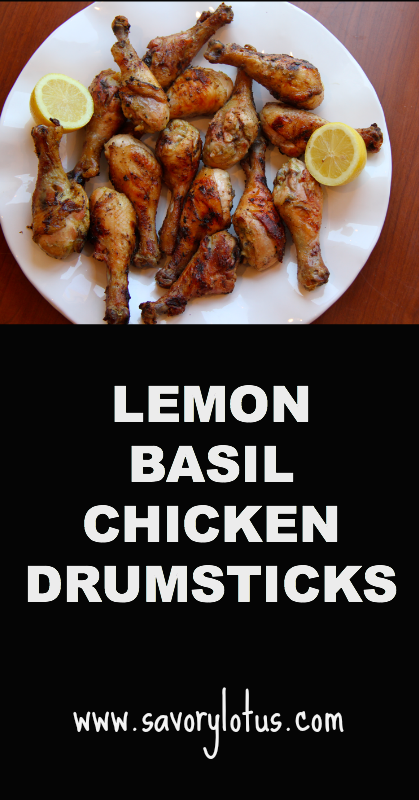 You will be amazed at how flavorful and tender these drumsticks are. 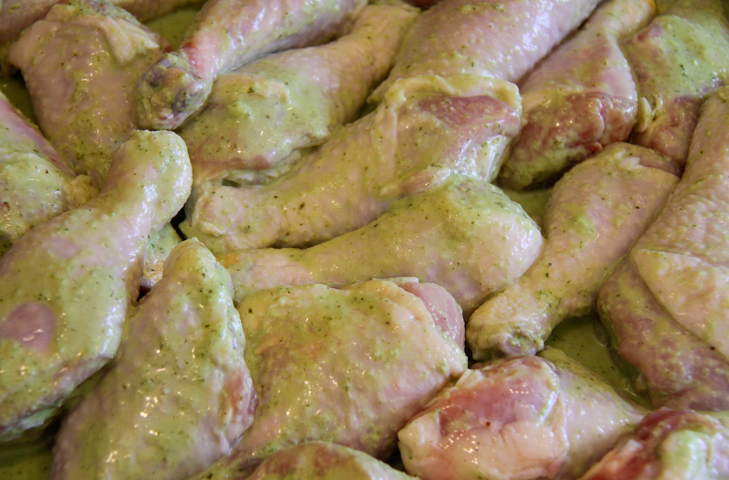 Combine all marinade ingredients in a blender and process until smooth, like salad dressing. Pre-heat barbeque. 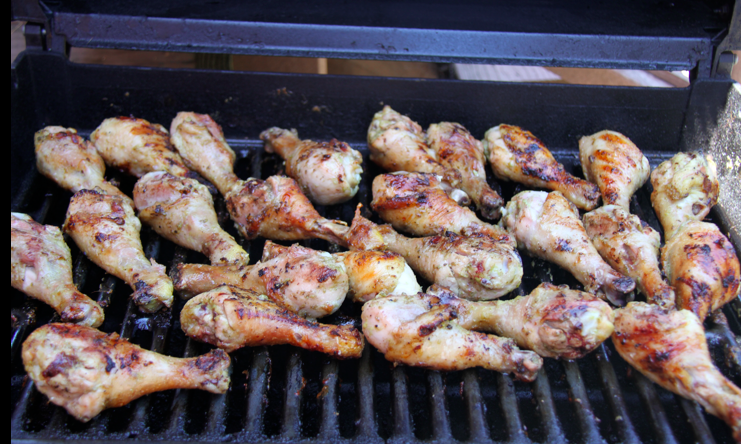 Clean the grill well before cooking drumsticks and oil if necessary. 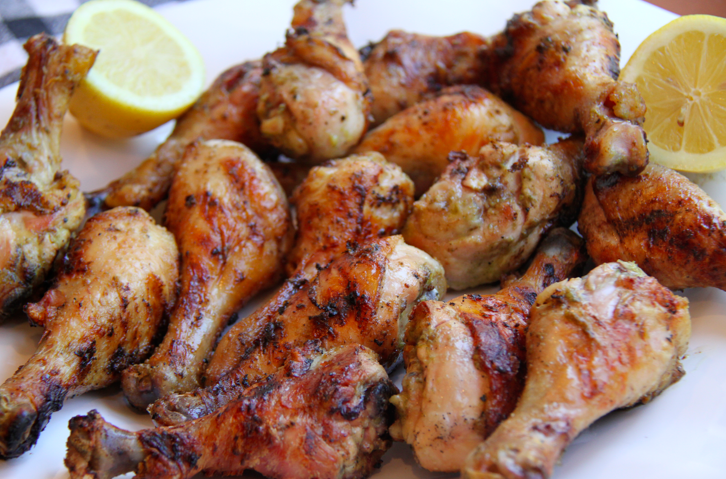 Arrange marinaded drumsticks on BBQ, turn heat down to medium, and close cover. Remove from heat. Allow to sit for 10 minutes before serving OR cool completely before packing away for your outdoor adventure. A long marinade makes for great flavor. Yes, you can bake them in the oven. I would do it at a high temperature ~ 400′ F. If you have a baking pan with a rack on it, that would ensure the chicken gets evenly baked. If not, a plain baking pan will work. I would love to hear if you try this since I have never baked this particular recipe in the oven. How long would you bake them for? I’m trying this recipe for dinner tonight! The drumsticks look really great barbequed, but I’m using the slow cooker, as I don’t have time to marinate right now. I couldn’t find pastured or organic drumsticks, so I’m using chicken breasts instead. We’ll see how it goes. I added half a cup of homemade chicken stock since more liquid is needed in the slow cooker. Can’t wait to try it! Thanks for sharing the recipe. Oh, and I also just shared this recipe on Facebook! Have a great day. When you use coconut oil for your recipes, is it more refined so there isn’t the coconut flavor? Or so use unrefined for all? I’ve never used unrefined and I’m relatively new to coconut oil so any tips are appreciated. 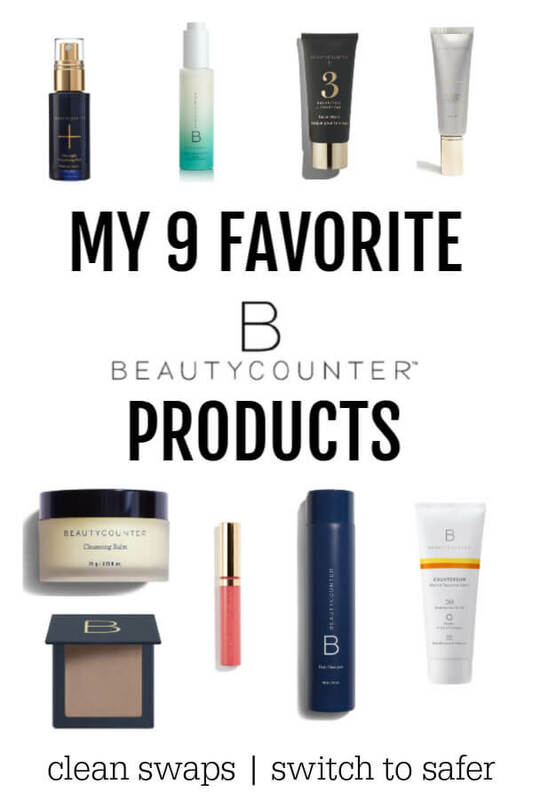 This is the brand that I am currently using—-> http://amzn.to/12X9deO 🙂 Hope that helps.